Add eMotion to your accounts payable. Reduce the cost of invoice processing. ABBYY FlexiCapture for Invoices is a business-ready solution for automated invoice processing and a key component of a comprehensive accounts payable solution. It delivers essential functionality for a transparent process, from document arrival through invoice scanning to posting. 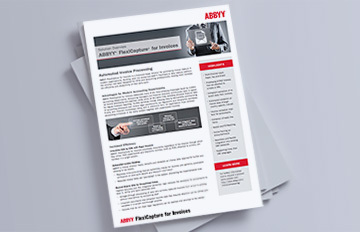 ABBYY FlexiCapture for Invoices supports organizations to significantly cut operational costs, ensure compliance and high data quality, and increase productivity. Gain efficiency through straight-through invoice processing replacing time-consuming manual work. Reduce the cost and workload of AP staff with automated invoice capture solution. Higher security thanks to automated checks and master data matching. Easy identification of duplicate, incorrect and invalid VAT invoices. Easy retrieval of documents in case of audit and inquiries. Greater visibility into payment liabilities, due dates, and processing stages. 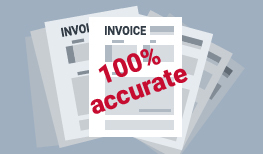 Ensure every invoice arriving from different sources and in multiple formats is paid. The solution offers a quick and easy start to automated invoice processing without a long and cost-intensive deployment cycle. Multi-channel data entry enables you to process both paper and digital invoices coming from multiple sources in a single flow. Invoices issued against purchase orders are automatically validated against the order information in the purchasing system. ABBYY FlexiCapture for Invoices identifies and extracts all necessary fields and verify the data according to legal requirements. A real-time demo: How ABBYY FlexiCapture for Invoices identifies and extracts essential data for AP departments. Click on any of the empty fields, to get its value, or click on “EXTRACT DATA” to capture all of the fields. With the deployment of ABBYY FlexiCapture for Invoices, invoice processing can be launched immediately upon receipt of documents in any form or format. Read more bout the solution highlights and benefits. 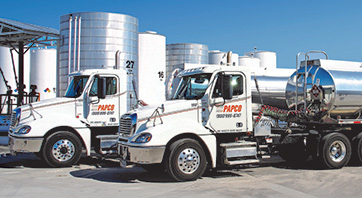 PAPCO reduced invoice-processing times by 6 man-hours a day, saving $30,000 annually, and streamlined approval process. 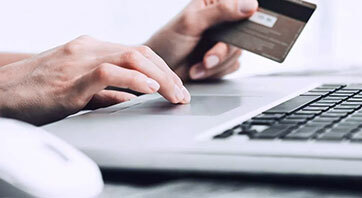 Paysafe Group automates invoice processing and classification of credit card documents, speeding up the transaction process. 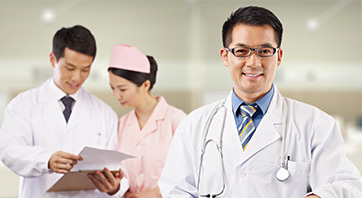 Modern Singapore healthcare facility streamlined invoice processing from 2000 invoices per day to 700 invoices per hour.